1. All entry fees and papers are due by July 31 to the Sheep Chairman or online. Registration papers and entry fees are due upon animal’s arrival to fairgrounds. Pen Set-Up will be 6:30 pm Thursday, August 8. 2. All sheep entries, market and breeding, must be in place no later than 12:00 noon Fair Sunday. 3. The Sheep Department reserves the right to dismiss any sheep on the fairgrounds that has any communicable disease such as club lamb fungus, foot rot, sore mouth, ring worm, or any others that are identified. The Sheep Committee also reserves the right to call in a veterinarian of its choice to review any health decisions made by the committee. To be in compliance with the recommendations of the state veterinarian, all sheep must be identified with an official scrapie tag in their ear upon arrival at the fairgrounds. The official paper work must accompany the sheep. Any sheep not having the tag will be dismissed from the fairgrounds and sent home. Health Certificate must be shown to committee member BEFORE any animals enter the barn. 4. The Junior Sheep Show is open to only Clarke County 4-H and FFA project members by January 1 of the year of the show. All new 4-H sheep project members must be enrolled by March 1, year of the show. 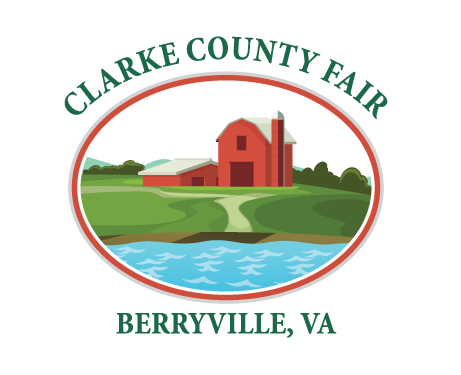 The Open Show is open to Clarke County residents and Clarke County FFA and 4-H members. All entries must be entered under the owner’s name; premiums will be paid based upon owner. 5. Bred and owned market lambs MUST be the offspring of a ewe flock project animal. The ewe flock project animal must be owned and cared for by the exhibitor by January 1st, year of the show. Bred and owned market lamb exhibitors must take and complete the ewe flock project or be properly recorded in the official SAE record book. 6. Any lamb not weighing 95 lbs. or grading live grade blue or weighing over 150 lbs. will not be eligible for the show or sale and must be removed from the fairgrounds by noon on Fair Monday. 8. Only water from a bucket may be used to hydrate any sheep while at the fair grounds. No tubes, hoses, or bottles may be used at any time. See chairman with any questions. 9. All Sheep Exhibitors must be present in the sheep barn vicinity during the sheep show, sheep ultrasound, and the sheep sale. See the general rules for clarification. 10. All breeding sheep shown in the “Open Classes” (4-H, FFA, and adult exhibitors) are to remain in the place until 4:00 p.m. Saturday, August 18, unless being removed to another fair. Permission of the co-chairmen must be obtained by those wishing to leave before this time. 11. BREEDING SHEEP WILL BE SHOWN BY BREEDS. 12. An entry fee of $3.00 per head will be charged for the Open Show. The entry fee must be paid prior to the show to be eligible to show. 13. All market lambs and junior breeding sheep must be in the possession and ownership of the exhibiting 4-H or FFA member and be on feed by the June weigh-in, year of the show. If an animal is not housed on property owned or rented by immediate family, then the exhibitor must notify the Livestock Committee in writing and receive committee approval. If the animal is moved at anytime during the fair project, the Livestock Committee must be notified immediately. 14. All market lambs to be sold by 4-H or FFA members will be graded before show on Tuesday. 15. All lambs will be weighed on Fair Monday at 7:00 AM. All lambs must weigh a minimum of 95 pounds. If they don’t weigh 95 pounds they must live grade blue to be eligible for the youth market lamb show and sale. The maximum weight limit is 150. lbs. All lambs must be born after December 1 of the year previous to the show to be eligible to show in the junior market lamb show and to sell at the Saturday sale. Any lambs not falling in the above weight class may be shown in the underweight/overweight classes at the end of our junior market show. They will not be eligible for Saturday’s Sale. 16. To recognize lamb buyers, $6.00 will be retained from the proceeds of each lamb sold to purchase a newspaper advertisement and recognition banner. 17. The fitting and show preparation area is confined to the wash rack, the sheep barn and other designated areas within the livestock area which will be designated at the exhibitor meeting on the Sunday of Fair Week. 18. Each exhibitor may weigh up to 5 lambs at the official project weigh-in, show 3 lambs, and sell only 2 market lambs. Exhibitors must designate at June weigh-in if lamb is to be in the market lamb class or the bred and owned market lamb class. Any lamb not designated at weigh-in will be placed in regular market division. 19. All market lambs must be castrated (removal of testicles) by the initial project weigh-in. Any evidence of testicular tissue will be evaluated and up to the discretion of the sheep committee. 20. All market lambs must be slick shorn within a week of the fair. All breeding sheep exhibits must have no more than one-half inch of wool, except for wool breeds, which must meet their wool breed association standards. If a touch up is needed, you are required to clean up the area. 21. Registration papers are required for all purebred classes in the breeding show. Appendix and unregistered animals will be shown in the commercial classes. 23. The Grand Champion and Reserve Grand Champion of the Junior Market Lamb Show and the Bred and Owned Show must participate in the carcass and ultrasound program if available. Any exemption will have to be approved by the Committee. 25. Bred and owned market lamb exhibitors must own and care for the dam during gestation of the bred and owned market lamb prior to breeding and have an updated project book provided by their 4-H/FFA Advisor. 26. Youth exhibitors cannot show the same lamb in the bred and owned market lamb class and the general market lamb classes. Youth must designate at June weigh-in which lamb(s) are to be in the market lamb class and which lamb(s) are to be in the bred and owned market lamb class. Registration papers are required for all purebred classes in the breeding show and they must be turned in upon arrival at the fairgrounds to the Sheep Chairman. Appendix and unregistered animals will be shown in the commercial classes. A Group will consist of any four animals of the same breed that have been shown in a previous class of the show, either purebred or commercial. An exhibitor is limited to one entry per breed. The Youth Open Showmanship class is open to any youth that will not reach their 9th birthday by September 30 of the year of the show. A dam and a lamb entry will consist of a dam and her lamb of the same breed that have been shown in a previous class of the show, either purebred or commercial. Tuesday, August 13, 4:30 P.M.
Showmanship classes will be divided in to Novice, Junior, Intermediate and Senior. Novice Showmen will be those youth who have not shown lambs as a 4-H or FFA project previously at the Clarke County Fair. Junior Showmen will be those exhibitors who will be 9, 10 and 11 years of age as of September 30, 2019. Intermediate Showmen will be those exhibitors who will be 12 and 13 years of age as of September 30, 2019 and Senior Showmen are those exhibitors who will be 14 years of age and older as of September 30, 2019. Triple Oak Farm (“The Crim Family” Gary, Lenora, Brandi, Josh, Jon, Shay, Lilly & Layla) presents an award to the exhibitor of the Grand Champion Overall Market Lamb of the Junior Show. This award is given in memory of Uncle Donnie. Milton Valley Farm will present an award to the exhibitor of the Reserve Grand Champion Overall Market Lamb of the Junior Show. In memory of Raymond “Pee Wee” Chapman a cash award will be presented to the exhibitor of the Champion Market Lamb and the Reserve Champion Market Lamb at the Friday evening Awards Ceremony by Clarke Agricultural Learning Foundation. Banners will be presented by the Clarke County Ruritan Club to the first and second place exhibitors in each of the showmanship divisions: Novice, Junior, Intermediate and Seniors. Trophies are presented by Berryville Farm Supply to the first place exhibitors in each of the showmanship divisions: Novice, Junior, Intermediate and Senior. 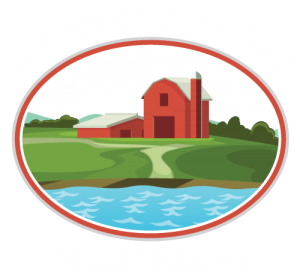 In memory of ORIE J. ROYSTON who promoted sheep showing and judging in Clarke County, an award will be presented to the Clarke 4-H or FFA sheep exhibitor, who in the opinion of the committee, does the best job of caring for and presenting his/her animal or animals to the public during the 2019 Clarke County Fair. Factors to be considered are neatness of stable area, cleanliness of animal at all times, care of equipment, personal appearance and conduct, and spirit of cooperation. Possession of award is for one year until the 2019 Clarke County Fair. A member winning the award any three years will have permanent possession. In memory of Mr. Floyd Hoff and Mr. Jock Hoff, a banner will be presented to the exhibitor of the Reserve Grand Champion Market Lamb by an anonymous donor. Moore Clemens Insurance Company will present awards to the exhibitor of the Champion and Reserve Champion Bred and Owned Market Lamb of the Junior Show. H-Squared Livestock, and The Hartsell Family will present banners and awards to the exhibitor of the Grand Champion Bred and Owned Market Lamb and the Reserve Grand Champion Bred and Owned Market Lamb.